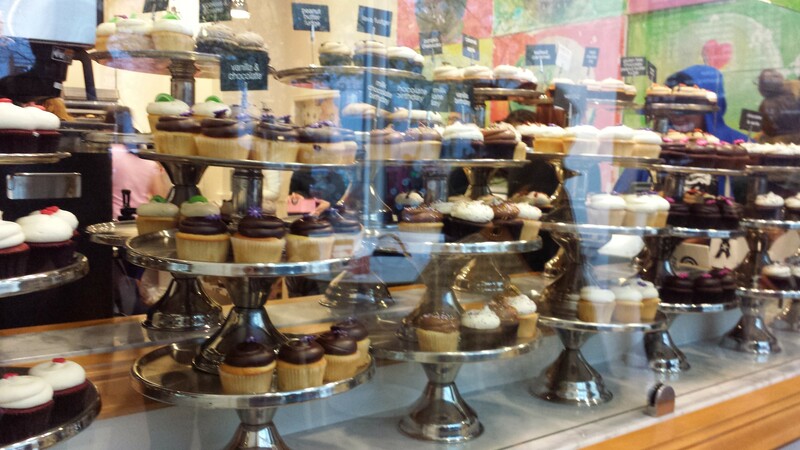 A few weekends ago one of my besties decided to make a little trip out to Boston. In full disclosure, it was a boy out here that got her to come, but I like to think that me being here added to her decision to pay us a visit. While she was in town for a few days, we spent a day together, the three of us, which allowed me to 1) spend some much needed time with my chica and 2) use my girly powers to decide if this boy passed the approval test. She’s also considering starting her masters at Boston College, so I had to give her a tour and put in my BC plugs to persuade her to join me. So, after some lunch, which I actually got the hubby to join us for, we headed down to campus. I had to show her the usual gorgeous parts of campus, including Gasson Hall, and obviously the social work building, McGuinn Hall. 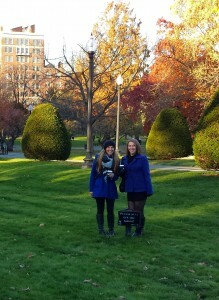 Next, we headed downtown to show her around some cool parts of Boston. 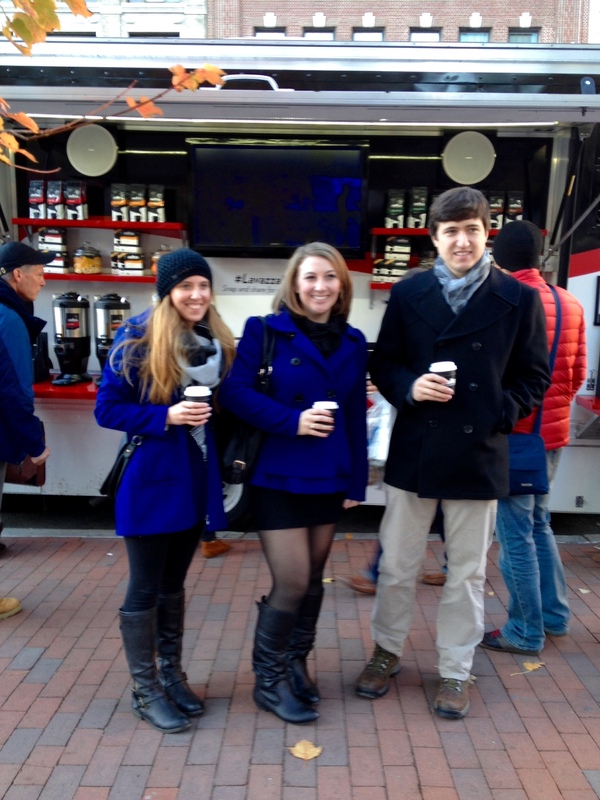 We headed to Copley, where we stumbled on a truck that was giving out free coffee, which was amazing considering it was pretty cold that day. They wanted to take our picture drinking their coffee…I’m assuming for advertising, so we got one as well. Yes, we kind of look like twins…I swear our brains link up from time to time. 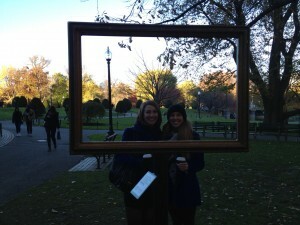 We then headed to one of my favorite spots, the Boston Common, where we saw tons of squirrels and got lots of pictures. 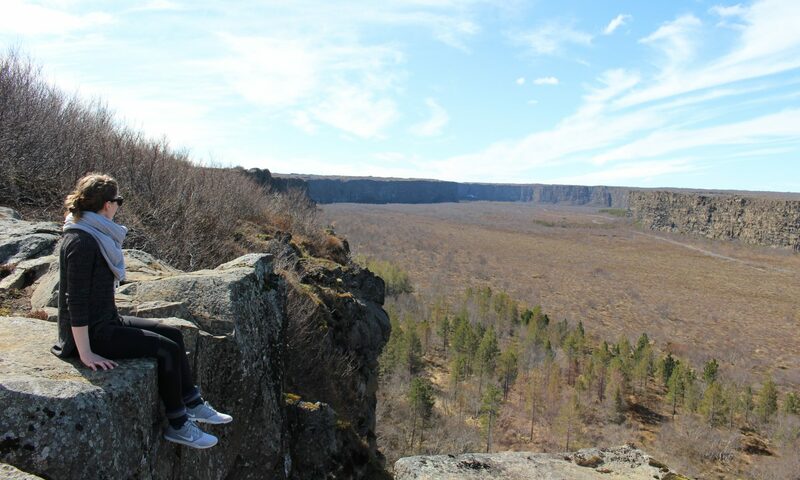 And, our rebellious side came out…as it usually does when we’re around each other. 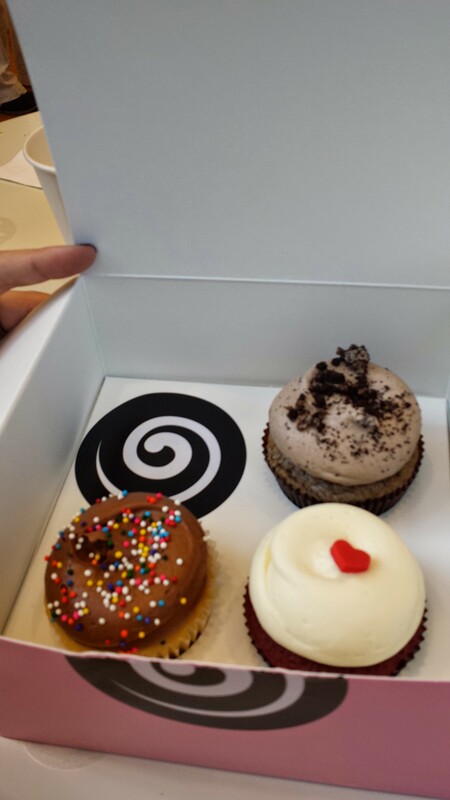 Next, we stopped off for some sweets…and to warm up..at a cupcake shop, Georgetown Cupcakes. I have to say..amazing! Definitely on the list if you ever visit, and it was super close to the Common. That night, we had some more adventures hanging out at a sports bar, drinking and watching football, but there were no pictures to capture this. Great times and a much needed bestie fix. 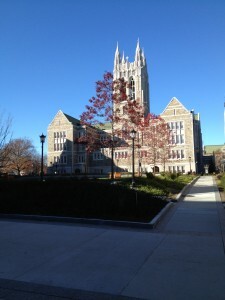 Who knows..maybe she’ll end up coming to Boston College and we’ll be able to spend time together on the regular again. Fingers crossed!